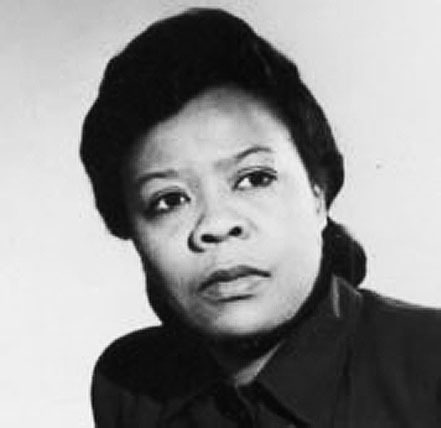 Marie Van Brittan Brown (October 30, 1922 – February 2, 1999) invented the home security system (patent number 3,482,03 Albert Brown. The patent was granted in 1969. Brown was born in Queens, New York; she died there at age 76. Brown’s system had a set of 4 peep holes and a camera that could slide up and down to look at each one. Anything and everything the camera picked up would appear on a monitor. Also, a resident could unlatch the door by remote control. The system included a device that enabled a homeowner to use a television set to view the person at the door and hear the caller’s voice. While home security systems today are more advanced than ever, back in 1966 the idea for a home surveillance device seemed almost unthinkable. That was the year famous African-American inventor Marie Van Brittan Brown, and her partner Albert Brown, applied for an invention patent for a closed-circuit television security system – the forerunner to the modern home security system. Brown’s system had a set of four peep holes and a camera that could slide up and down to look out each one. Anything the camera picked up would appear on a monitor. An additional feature of Brown’s invention was that a person also could unlock a door with a remote control. A female black inventor far ahead of her time, Marie Van Brittan Brown created an invention that was the first in a long string of home-security inventions that continue to flood the market today.